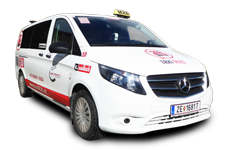 The 6620 fleet, at time of print has 25 vehicles including: Mercedes Sprinter, Mercedes Vito 4-wheel with a special bike trailer as our VIP limousine Mercedes GL, Pinzgauer and luxury buses also have. On a yearly basis the vehicles are checked and brought up to date. In the firm’s workshop - Cartec in Saalfelden, our vehicles are checked regularly by qualified personnel to make sure they are in good condition and order. 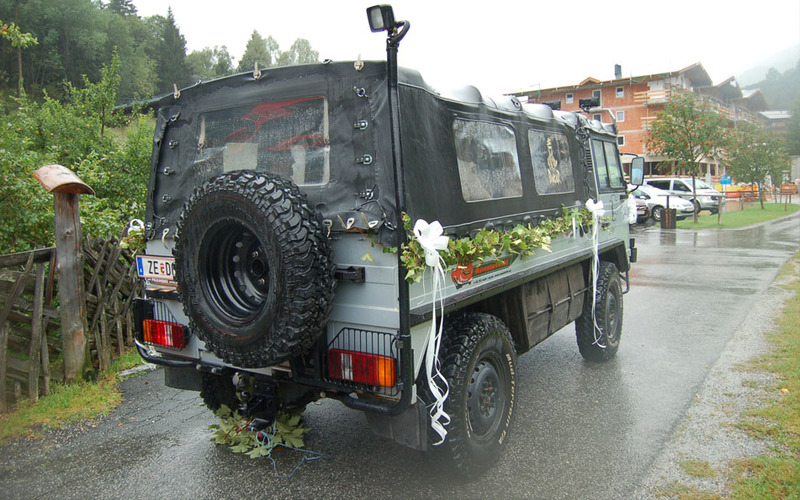 We would be happy to organise a flower arrangement for the vehicle. 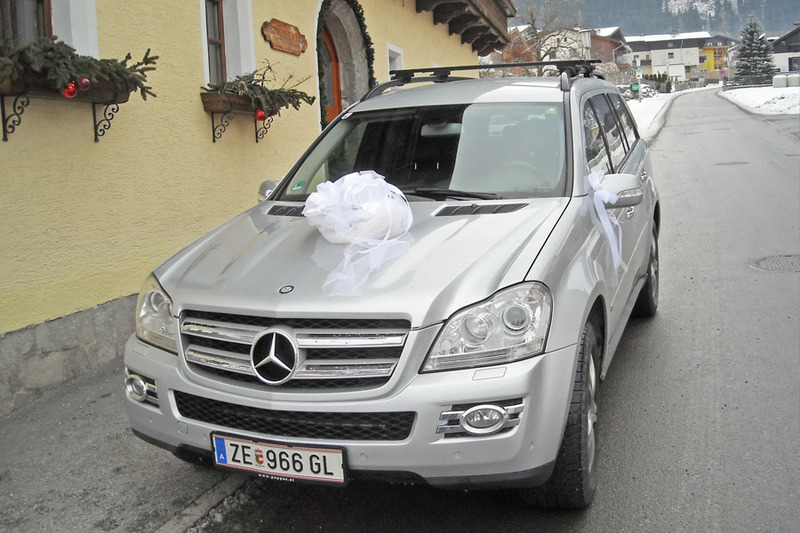 Natrually, we haven’t forgotton the guests, and will take care of the transfers to and from your wedding celebrations. 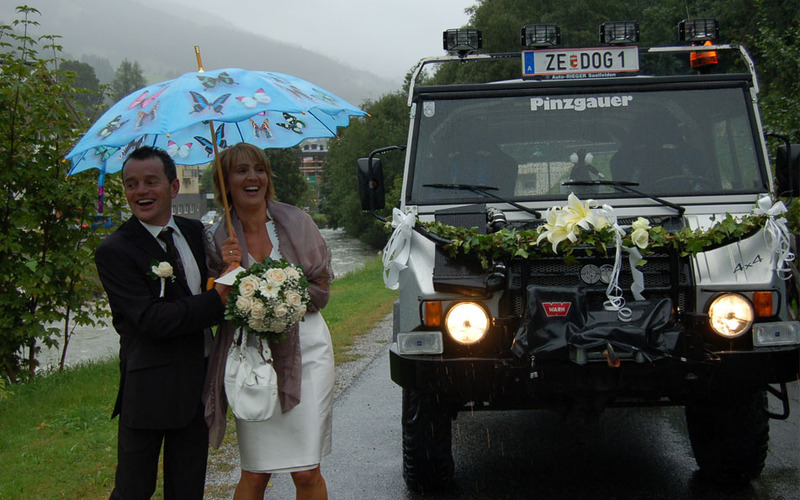 Whether you would like to travel with one of our coaches or four-wheel drive mini busses a remote mountain hut, our fleet has something to offer for every wedding celebration. How will your guests get to their hotels from the airport? How will they get back from organised events to their hotels? How do you organise the transfer of hundreds of guests to and from tobogganing, sleigh rides, and après ski? We can help you organise your event with our years of experience as well as our expert team from the initial planning to the final accomplishment! We are working alongside the Tourist Office of Saalbach-Hinterglemm: the yearly events of the Biker Mania, Royal Air Force, British Police and many others. We are organising the shuttles for the EBHC and Snow Mobile in Saalbach Hinterglemm. 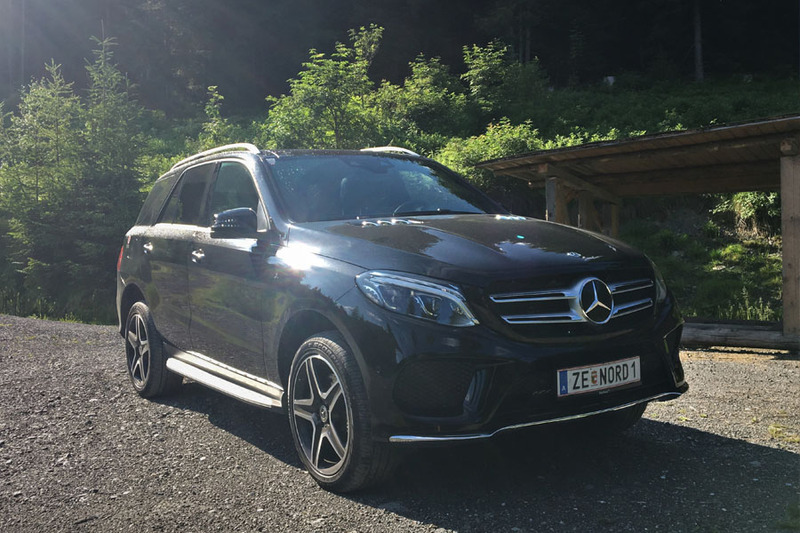 Mercedes GL 320 CDI 4 matic – the limousine of the luxury class. 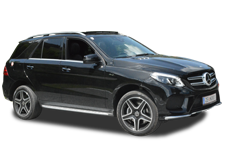 The Mercedes Limousine of Taxi 6620 offers exclusive comfort for very special occasions. 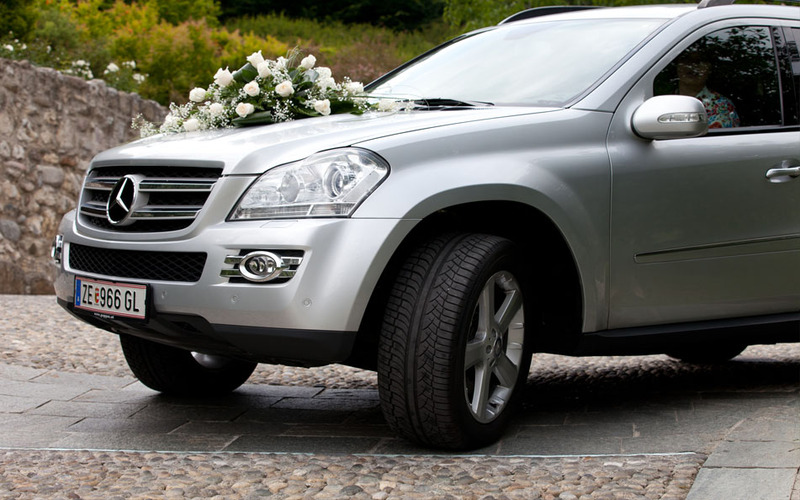 Whether on the way from the airport, to a wedding, birthday or a trip to the theatre – luxury plus comfort is the recipe! As you wish, we will gladly organize drinks, snacks, newspapers to make your journey especially comfortable. 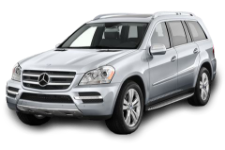 A special limousine for a comfortable and special journey. 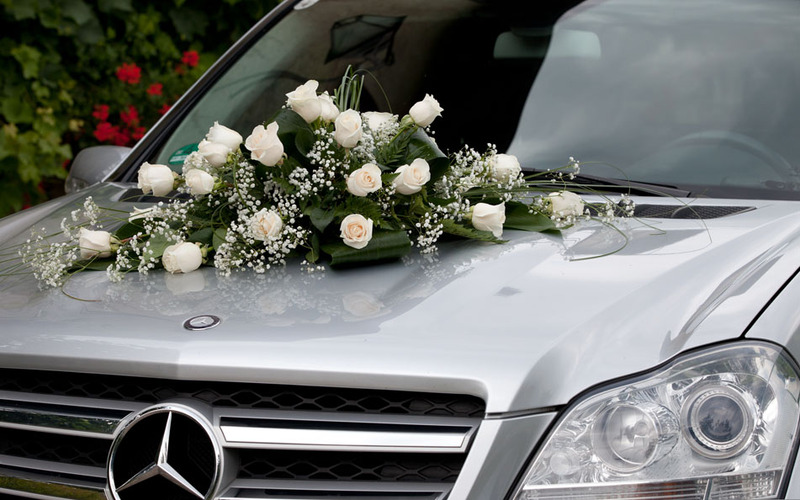 Exclusive VIP equipment, the luxury car - for your very special occasions. For over 10 years we have been bringing our patients safely to their therapies: dialysis, chemotherapy, radiation treatment and physiotherapy. Our customers especially value the discretion of our team. Cover for all insurance. For further information, please ask us or your GP. Repatriation for inland and abroad: In the event of illness or accident whilst on holiday, we will take you as quickly as possible to the hospital or directly back home. In the majority of cases we can settle the costs with international insurance companies – your insurance company will be happy to give you further information. ... our Chauffeurs will greet you directly at the airport terminal or train station and transport you safe and sound to your hotel. 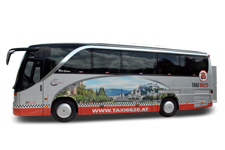 On the day of departure, you will picked up by Taxi 6620 and are able to enjoy your journey stress free. 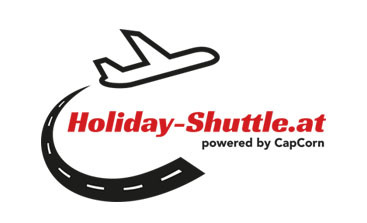 We of course also accept payment by Credit Card – please state at time of booking whatever you prefer, either pay the driver or you pay at the actual time you book. 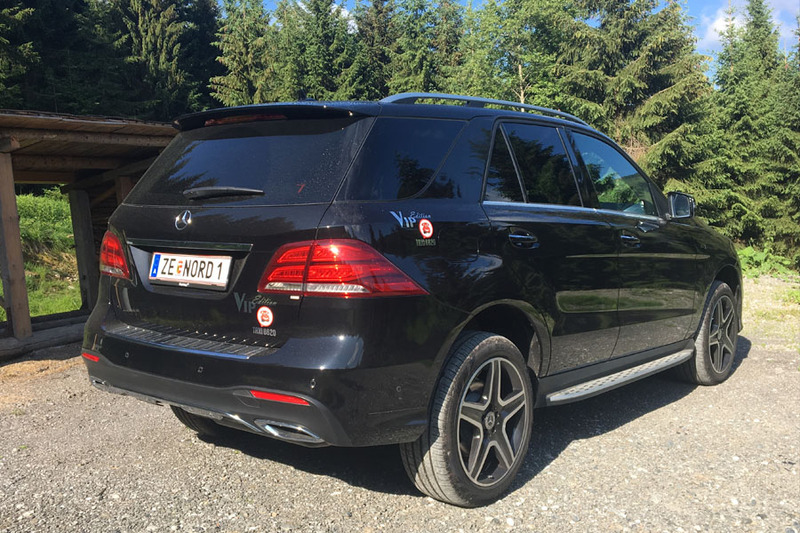 It would be our pleasure to also fullfil any individual wishes you may have, whether you require a children’s seat or perhaps have a special package such as a mountain bike – we will always endeavour to resolve the matter. You send us your arrival and departure details, along with the number of passengers – we will provide you with an offer without obligation for your tailor made transfer. 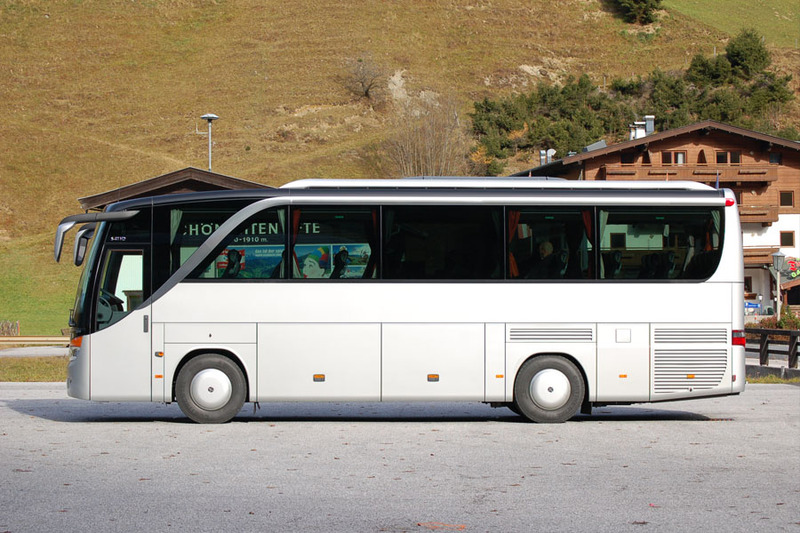 With the innovative midi-coach Mercedes Tourino **** with 32 + 1 seats or the Luxury coach Setra 411 HD ***** with 37 + 2 seats, both equipped with air conditioning, heating system, on board toilet, fridge, folding tables, adjustable seatbelts – all the requirements for a comfortable, relaxing journey! Our team, who have years of experience are at hand to help you with the planning stages, right through the actual journey. 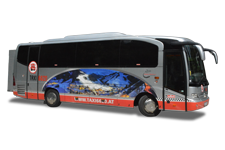 Our luxury coach Setra 411 HD offers the most comfort, whatever your travel requirements. 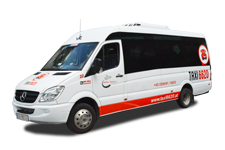 "The ideal vehicle for smaller groups"
We will be happy to assist you with your travel arrangements, whether it be a work outing, a mini-break for the weekend or an airport transfer for your guests – we are happy to assist you with our expert knowledge. 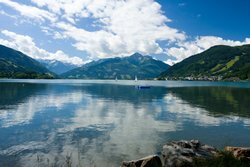 With our modern, fully air conditioned minibuses, we can bring you to the most beautiful places in and around Saalbach-Hinterglemm. 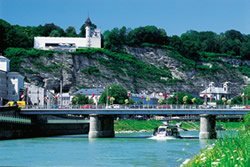 Our excursions take you to the highest waterfall in Europe, the Krimml Waterfalls, to the city of Salzburg and the house where Mozart was born, Hellbrunn Palace and the Salzburg fortress. 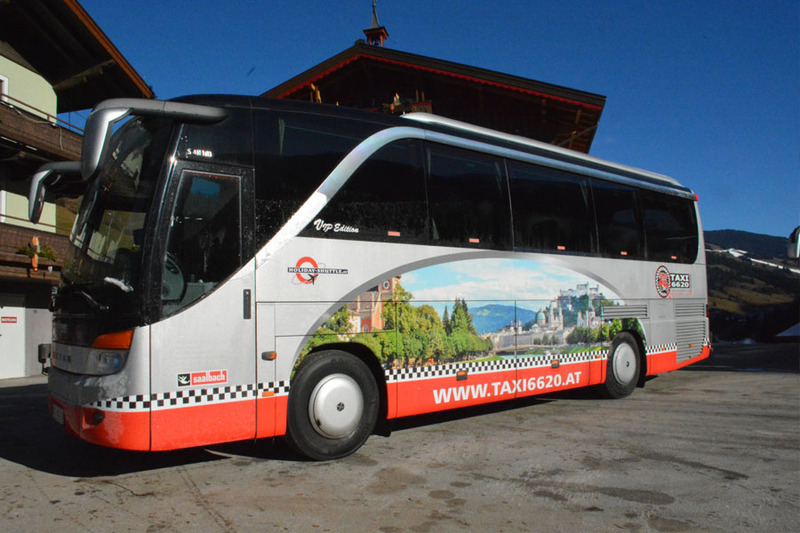 Also on offer: Berchtesgaden, the Königssee and St Bartholomä, along the Großglockner Hochalpenstraße to Austria’s highest mountain, Swarovsky Crystal Word, the “Ice Caves” in Werfen or to South Tyrol and the Dolomites... Our drivers assist you in having an unforgettable day with interesting titbits of information about the region. 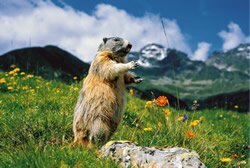 For your individual summer excursion programme, our personnel in the excursion office in Saalbach and Hinterglemm are happy to assist you, for winter excursions, we are happy to assist with your enquiries over the telephone. Enjoy Mozart‘s city of Salzburg with it‘s world renown shopping street ‚Getreidegasse‘ - the city centre offers history galore, including the Salzburger Cathedral, monastary of St Peter, the high fortress of Salzburg, the ‚Stiegl‘ brewery, the Mirabell palace and famous Mirabell gardens, Hellbrunn palace and the water gardens . . 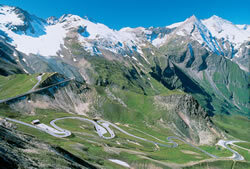 The Großglockner high alpine road leads you to the highest mountain in Austria. 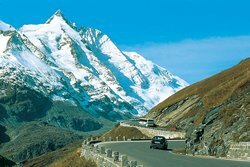 The road which stretches for 48 km incorporates 36 hairpin bends and is set against a backdrop of natural beauty. 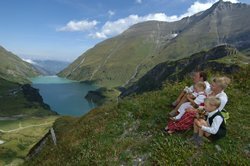 You will traverse across a landscape of blooming mountain pastures, fragrant woodlands, craggy rocks and onto the ice of the glacier at the ‚Kaiser-Franz-Josefs‘ heights! On the full day excursion, we also take you to the town of ‚Heiligenblut“. 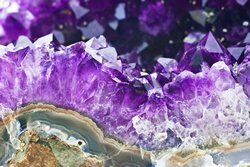 Enjoy the Swarovsky crystal world. 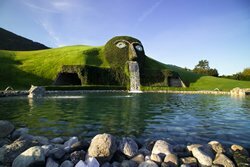 Let the spouting water bring out your inner magic and the wonderful lighting awaken your fantasy. Then onto the city of glass ‚Rattenberg‘. The historical town with it‘s narrow streets and colourful facades, towers dates back to the middle ages. 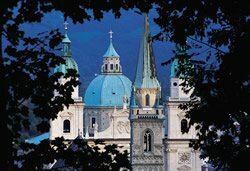 We also look forward to taking you to Innsbruck and the „Golden Roof“ directy in the centre of the gothic old town. The first soil was turned on the Kapruner high mountain reservoir in 1938. 1955 saw the Marshall plan fi nance the power plant into the fi nal stages. 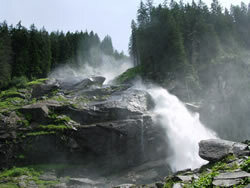 The dam walls of the Mooser and Drossen frame the Mooserboden reservoir at an altitude 2.040 of metres. 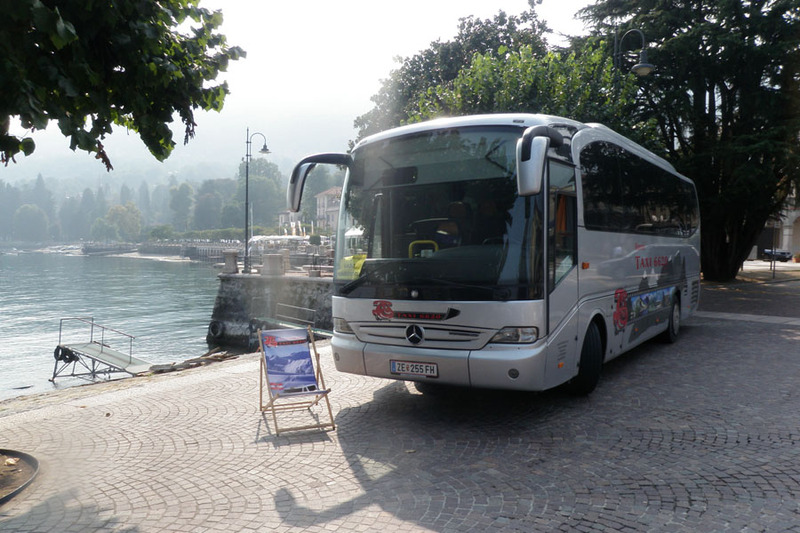 A panoramic journey by bus and an open air lift bring you to the this century old construction. To complete the excursion, a wander through the enchanting alpine town of Zell am See. 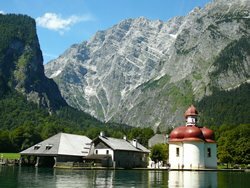 Berchtesgaden invites you to investigate the beauty of the National Park, including the Königssee, the cleanest lake in Germany and it‘s island of St. Bartholomä. 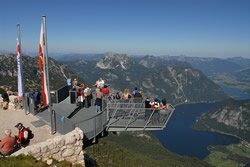 Over the stunning ‚Kehlsteinstraße‘ to the ostentatious elevator which takes you to the mountain restaurant of the „Eagle’s Nest“ where one can enjoy breathtaking panoramic views. 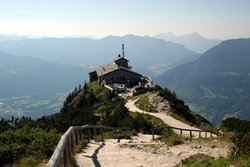 Enjoy the spectacular viewing platform of the „5 fi ngers“, the absolute high point of a hiker’s paradise of the ‚Krippenstein‘ plateau. 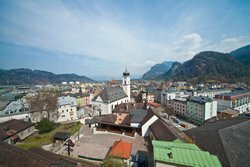 Then we travel further into the Salzkammergut and along the shores of the Wolfgangsee to the town of St. Gilgen (the birthplace of Mozart‘s mother Anna Maria) and St Wolfgang of the legendary ‚White Horse‘ operetta. 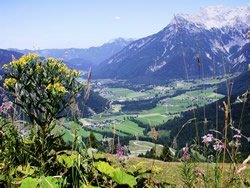 Through the Salzach valley and onto the new National Park centre of the Hohe Tauern in Mittersill and onto the mountain pass ‚Pass Thurn‘ into the province of Tirol and the world famous town of Kitzbühel (home to Hahnenkamm ski race). 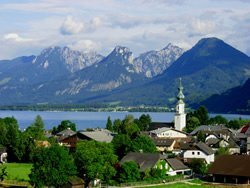 The return journey takes us through the romantic Pillersee valley and back into the province of Salzburg. 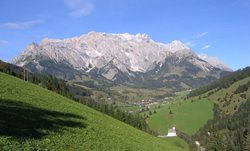 Travel with our minibus to the ‚Arthurhaus‘ and then by foot around the imposing ‚Hochkönigmassives‘ surroundings. At the alpine dairy the bio milk of the alpine cows is processed into cheese. The two marmots ‚Manfred‘ & ‚Fraufred‘ look forward to your visit! Gold washing in Rauris, a visit to the Summer toboggan run in Saalfelden, or a visit to the largest ice caves in the world – ‚Eisriesenwelt in Werfen‘ – or a special excursion for those with a sweet tooth, we can plan together an individual tailormade excursion. 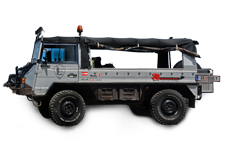 Get to know a different side of Saalbach Hinterglemm and our „Pinzgauer“! 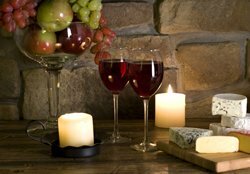 Enjoy with us the many different culinary delights our cosy huts have to offer in the valley of games. A day of adventure and pure enjoyment await you! 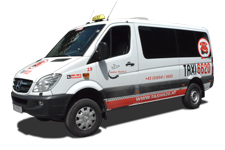 Competence means expert knowledge – founded in 1987, Taxi 6620 can hark back to a decades of experience as a leading service enterprise. 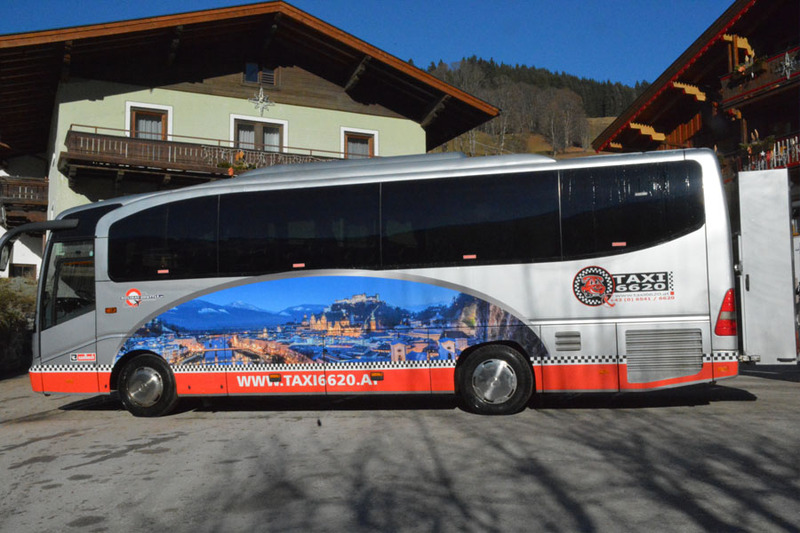 As a family organised business the training which takes place on a yearly basis for more than our 20 drivers, is very important, as is the friendly treatment of our guests, excellent local knowledge and a command of the English language are basic prerequisites! 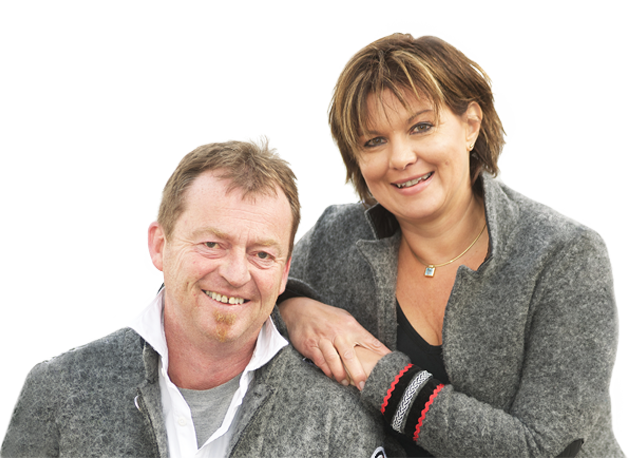 The well balanced team offers their services for large and small events alike, a top service for our clients. – we are constantly striving to widen our range of services, and are open to your innovations and progress. To satisfy our customers – that’s our goal. and the Taxi 6620 team.